Valve have lent Capcom a hand in fighting the zombie horde. Resident Evil 6 players can now play as their favourite Left 4 Dead 2 characters. 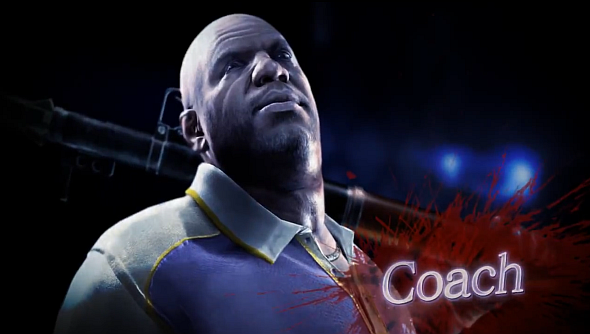 In the “Mercenaries” mode, players can choose either Coach, Nick, Ellis and Rochelle and take the fight against Raccoon Cities enemies. Oh, and Left 4 Dead Witch and Tank will be making the leap, too. The mode is included free with the PC version of Resident Evil 6, which is available on Steam right now. The Left 4 Dead 2 gang still look great fighting zombies, regardless of the setting. Even if the Tank got cut down in size, the fact there are multiple “Mini Tanks” at any one time is a scary idea. That’s not the end of it though, as Valve are inviting players and modders to create their own Resident Evil characters and enemies to be included in the official Resident 6 collection, releasing next month.